Finish your orthodontic cases efficiently, like a pro! Finishing orthodontic cases can be a very technical endeavor, with the most talented orthodontists perfecting their skills over thousands of cases. You can take a 2-day course to build your skills and more efficiently hone these techniques. Refine your wire bending and case finishing capabilities with POS’ most tenured instructor, Dr. Jeffery Taylor, or popular tenured instructor, Dr. Brian Liao. Improve the results, efficiency and profitability of your orthodontic cases with optimized finishing skills. You will develop both your diagnostic and mechanics abilities with this very practical course. You will practice various finishing bends with 018ss and 18x25H and reshaping with 018ss and 19x25ss wires. You will use a light wire plier, hollowchop plier, intra-oral finishing pliers, and your hands to practice the proper bends for example cases. Get direct, hands-on feedback from an experienced clinician to achieve superior results in case finishing and detailing. Dr. Jeffery Taylor has helped thousands of orthodontic patients and will share his extensive mechanics and diagnostic experience with you. 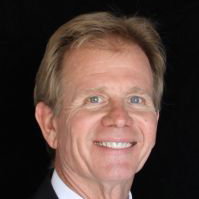 After getting his DDS from the University of Southern California, Dr. Taylor worked with Dr. Donald B. McGann in Santa Ana and Laguna Niguel and developed a strong skill set in orthodontics. His current Laguna Niguel private practice focuses on Orthodontics and General Dentistry. 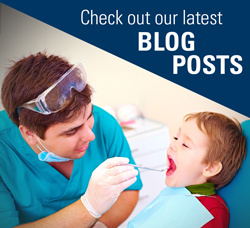 Dr. Taylor has an extensive background teaching orthodontics to dentists and has been an instructor with Progressive Orthodontic Seminars since 1987. As the most tenured active instructor at POS, he has experience teaching all of POS’ seminars around the world, is part of its Advisory Board and has been a partner in the Philippines Clinic since its inception.